3. How to reduce the ecological impacts of energy supply and use, both locally and globally. However, renewables could also solve another problem. Government needs to open space for the private sector to participate in electricity supply. But it needs to do this without too much resistance from those who oppose privatisation (anti-privateers), and without losing monopoly control over the electricity supply industry as a whole. Renewable energy is also the answer for a growing number of rich households and businesses seeking to avoid dependence on Eskom. Municipalities, in particular, are not encouraging this development, though there is now at last some accommodation of rooftop solar photovoltaic (PV) generation. Indeed, there seems to be a growing realisation that resistance to this development is ultimately futile and that the highly centralised and one-way electricity supply model is part of the problem. Electricity transmission and distribution networks are increasingly understood not just as assets, but as dynamic and evolving systems. Society as a whole needs the service. As systems they require informed interaction between users (demand) and suppliers. The energy landscape is changing in various ways, most rapidly in the electricity supply industry. The liberalisation agenda included privatisation, with corporations allowed to compete at all levels including generation, transmission and distribution. It is no longer the standard policy prescription, although it still has vociferous advocates, particularly in South Africa. Other countries that have fully privatised their electricity systems have experienced huge problems, including blackouts and the collapse of the transmission grid. 4. pressure for full-cost accounting. Too many local governments have treated the electricity distribution ‘business’ as a revenue stream. Households and small businesses have been a captive ‘customer’ base. The system has not been treated as an essential social investment requiring continuous extension and upgrading. Municipalities will no longer be able to take revenue that should be going into energy infrastructure development (potentially including solar PV systems for poor households). Most will have to rethink their financial model. Local government should not be resisting embedded PV generation, in which households or businesses install local solar systems for their own consumption and sell surplus electricity to municipalities or the electricity utility. Instead it should be exploring how small-scale renewable energy can contribute directly to economic empowerment of its citizens. It could be subsidising access to basic energy services in order to fund sustainable options and local infrastructure. The fully-justified slogan ‘Renewable Energy is People’s Power’, (REIPP) failed to convince government to implement the policy provisions on renewable energy already contained, as long ago, as the 1998 Energy Policy. The slogan was initially presented as a statement of fact. It was an observation that renewable energy resources are widely and freely available and offer a platform for empowering people. It has become more of a demand: Renewable Energy must be People’s Power, and people must be empowered to be involved in the provision of energy services. Decentralised development and participatory planning are key to realising the full social benefits of renewable energy opportunities. This is particularly true for addressing energy poverty (especially beyond the grid) and the long term affordability of an appropriate range of energy services, including electricity. Government’s “Renewable Energy Independent Power Producers Procurement Programme” (REIPPPP) is based on competitive bidding. It has prioritised minimising the price to be paid for renewably-sourced electricity. This has favoured large transnational corporations (drawing on global economies of scale), even though the programme has imposed some requirements on these companies to promote local economic development. Firstly, these requirements are largely unenforceable. Secondly, they are usually treated as add-on activities. There are notable exceptions. One is a wind farm led by Just Energy in the Eastern Cape, which has taken a bottom-up approach to project development and integrated broad-based economic empowerment into the business model. The incremental project by project approach has succeeded on its own terms, with national benefits noted below, but runs counter to the stated intent of localisation. Using renewable energy is consistently much more labour-intensive than using concentrated energy sources (fossils and nuclear). But where the employment opportunities are created depends on the scale of commitment to the deployment of a technology within a particular country. Developing local manufacturing industries that supply the renewable energy inputs such as turbines, blades, solar panels etc. requires some assurance of strong and sustained local demand (as well as availability of appropriate skills etc.). Only government can provide this, but it has consistently avoided doing so, favouring lip-service over reliable instruments such as appropriate trade policies, subsidies to start ups etc. In the brief period that substantial renewable energy power supply has been available it has been a boon to the economy, generating net financial benefits from year one, in stark contrast to nuclear power. Financing nuclear is premised on very long plant life. The very high up-front capital costs mean net financial benefits are only expected to accrue after some 20 years. That is about one-third of the way into a 60 year operational lifespan. 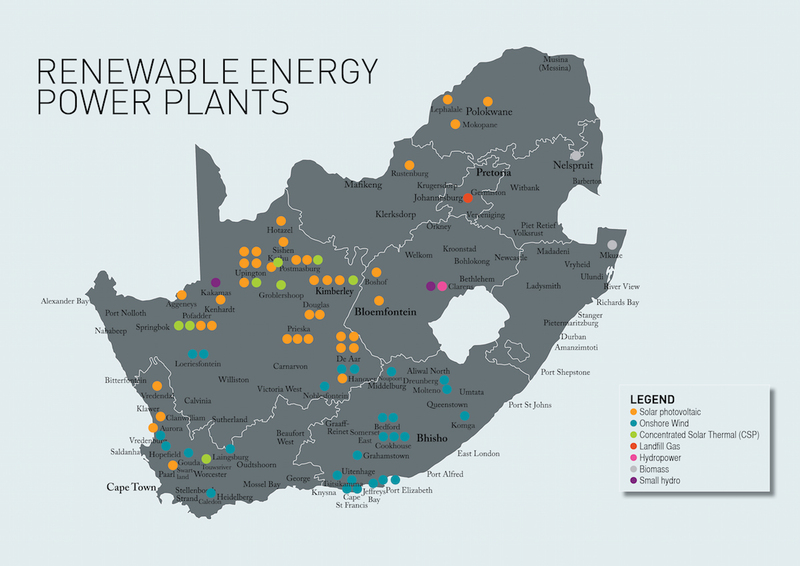 A study by the Council for Scientific and Industrial Research (CSIR) calculated the net financial benefits during 2014 of electricity generated by 1 600 MW of wind and solar PV; it came to R800 million. This is after R4.5 billion had been paid to the Independent Power Producers. This includes a valuation of the benefits of avoiding black-outs. CSIR conducted a second assessment of economic benefits over the first six months of 2015. It showed that the operation of 1,000 MW of PV capacity delivered net fuel cost saving of R411 million (after paying for the electricity supplied). 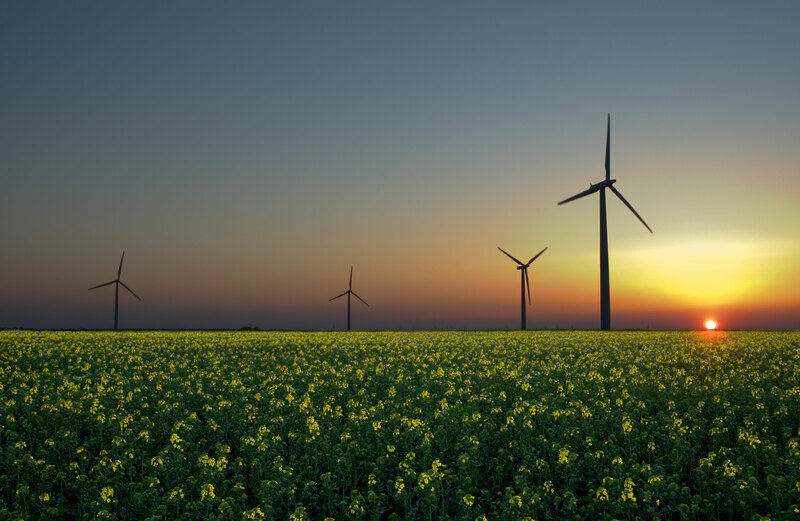 Over the same six months, wind power delivered net savings of R389 million. In six months, 1,800 MW of wind and solar PV energy provided about 2% of total supply. It replaced 500 GWh of coal-fired generation and 1,500 GWh of diesel-fired ‘peaking plant’ supply. 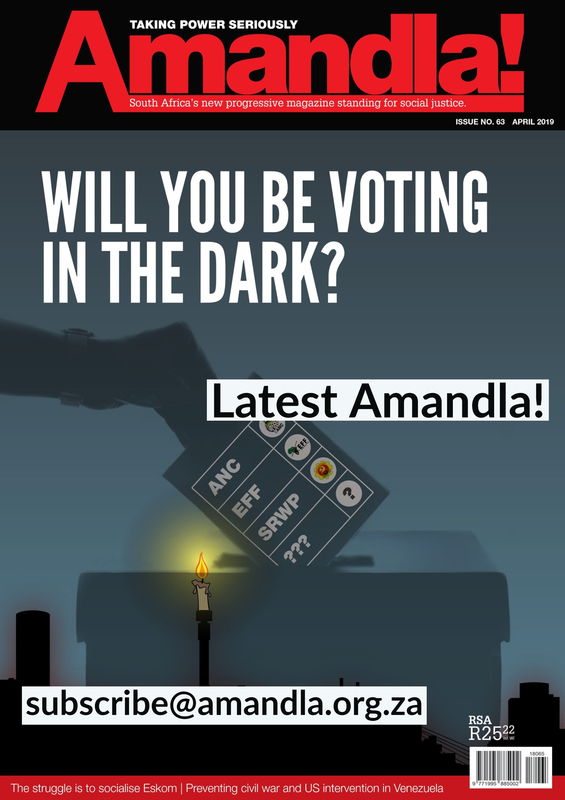 Eskom saved R800 million. Under the REIPPPP, renewables deployment has been much quicker than anticipated in the official electricity plan. Yet, despite the international accolades received for its RE programme, the government has not considered updating its renewables policy, or developing objectives and strategy to support localisation. There has similarly been no programmatic approach to broad-based participation in renewable projects, as was once contemplated under the renewable energy initiative, ‘Working for Energy’. In September this year, the Minister of Energy declared that gas is the ‘immediate focus’ for government: for direct use in industry as well as electricity supply. She has promised publication of the long overdue Gas Utilisation Master Plan (GUMP), even as the nuclear procurement debacle lumbers on with a resolutely cultivated sense of inevitability. 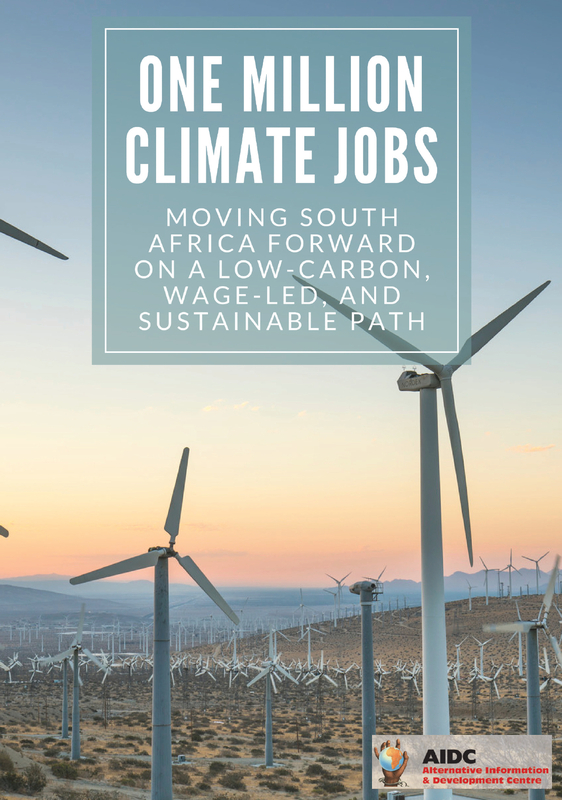 A new briefing paper by the AIDC, ‘Opportunities for Renewable Energy in South Africa’, ends with a number of civil society demands. They include a demand for a coherent and ambitious state-driven programme to develop manufacturing capacity in a range of solar technologies. 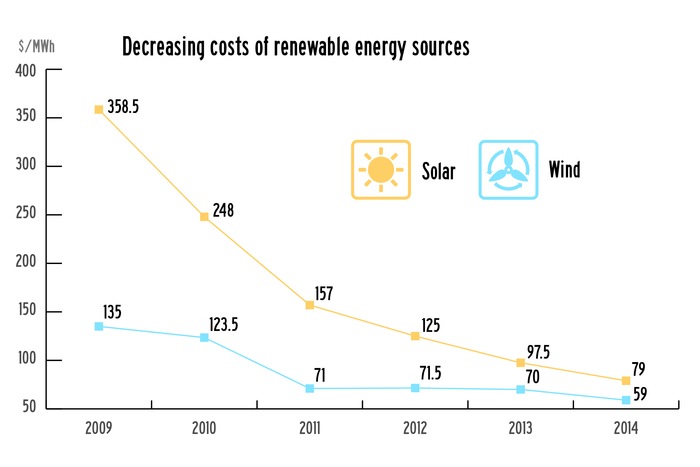 This should be linked to a target of 40% of electricity supply to be from renewables by 2030. This target allows for the time required to develop local industries to supply most of the infrastructure. It is also consistent with reaching 100% electricity from renewables by 2050. It also demands a dedicated energy access programme for socialisation of small-scale roof-top PV for low-income households. Socialisation here has two dimensions, avoiding commodification of energy services and developing collective social understanding of and participation in energy supply and demand management ñ it includes meaningful public participation in energy supply and management. 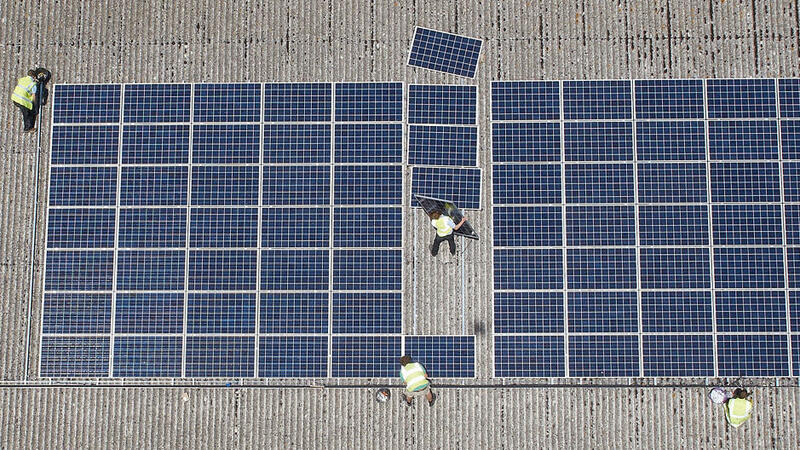 The civil society position includes recommending a feed-in tariff scheme specifically designed to benefit the poor and be implemented through local government. Renewable energy is the essential foundation of sustainable societies and the quicker we get there the better it will be for the vast majority of humanity. But how we get there is also important. Instruments to level the playing field should not just facilitate capture of the best resources by corporate interests. It will be a massive challenge for local government to catch up with energy services as an active responsibility, as well as a potentially positive partnership with people. Municipalities are required to produce local integrated Development Plans. But these are often no more than a bureaucratic formality. It will take concerted popular mobilisation to ensure that they provide a platform for such engagement, enabling people to access the power of renewable energy. Richard Worthington is an independent expert on climate and energy. It is great how depending on renewable energy resources can transform people’s and their country’s life 180 degree. But in order to do so, there must be a huge support from the governments and big companies. we already are starting to witness this in some countries and in different states in USA. China for example wanted to install solar panels at rooftops to eliminate poverty there. so yes i agree that Renewable is the answer.